When it comes to sports, golfers are definitely not the most interesting athletes, at least not for ladies. This is a huge injustice since, as all golfers and golf lovers already know, people who are into this sport actually make terrific partners. There is a whole world of golf dating sites out there, with tons of people looking for love through online dating, and we believe you should give them a chance. They truly do make ideal friends, partners, and lovers, and here’s why. Anyone who has ever met a golfer, whether we’re talking pro golfers or recreational ones, knows that these people are very punctual. Maybe it has something to do with the fact that you will be billed for your time on the golf course whether you show up on time or you’re late. All jokes aside, it’s a well-known fact in the golf community that golfers are rarely late. This is, of course, a great quality and something you should look for in a partner. This one is pretty well-known. Golfers dress better than most people and they definitely dress better than other athletes. Tennis used to be an elegant game with dapper and good-looking men playing the game, but this changed and we have to say that when it comes to style, golfers are currently number one in the sports world. Only a golfer could wear the same outfit to the course, brunch, and a business appointment. Maybe even to your date? Most athletes need to be able to concentrate no matter what’s happening around them and the same goes for golfers, perhaps even more so. As we all know, the ability to stay focused is very important when it comes to dating. You want your partner to pay attention to what you’re saying, to pay attention to detail, and remember things like birthdays and anniversaries. You want to be able to rely on him or her, and having excellent focus is a necessary requirement for this, whether we’re talking about dating or any other romantic context. We are sure that you are not one of those people who’s all about money. But on the other hand, let’s be honest – money is important. It’s not the most important thing in the world, but it’s a very welcome thing. Even though you don’t pick your partners based on their economic status, there’s no denying that a good financial situation is a significant dating asset. Golfers are generally either upper middle class or downright rich. 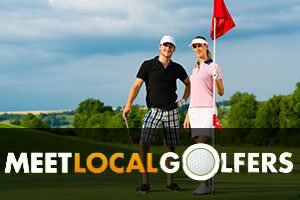 Amateur and recreational golfers need a lot of cash to maintain their hobby, so most of them make a pretty good living. Pro golfers, of course, make a lot of money. You know golf is a pretty, well, slow sport. Golf rounds take forever and there is a lot of walking and standing around involved. During that time, you are not alone – there are other golfers too, so naturally there’s going to be a lot of talking. Because of this, even recreational golfers have developed pretty impressive communication skills. On top of being great listeners, they are also great at communicating how they feel and what they think. You will agree that this is a very significant quality and one that is needed for any prospective long-term relationship. If you’re going to date an athlete, date a golfer. Football players get head injuries and horrifying open fractures all the time. Basketball players also tend to get hurt pretty badly on the court, and let’s not even get started on hockey players! Golf, on the other hand, is a pretty safe sport. The chances of getting hit in the head by a golf ball are pretty slim as long as you keep your eyes open. When you’re looking for a perfect romantic partner and possibly even a spouse, do consider golf dating sites, you’ll spare yourself plenty of worries and you’ll simply be able to sleep better at night with a golfer. Even those people who are not into golf probably know who Tiger Woods is, and not just because he’s one of the greatest golfers of all time. His cheating scandal was one of the biggest celebrity scandals of recent years and something that severely undermined his name and his reputation. However, when it comes to personal ethics, faithfulness, and simple human decency, he’s an isolated example in the golf world. Most golfers are actually terrific, loving, caring, and compassionate human beings who have a lot to offer to their partners.